French astronaut Thomas Pesquet measured his muscle and tendon response today with assistance from Russian cosmonaut Sergey Ryzhikov. Pesquet used an ultrasound while wearing electrode stimulators around his right calf muscle. The Sarcolab experiment from the European Space Agency seeks to define which muscles are used and not used when living in space. 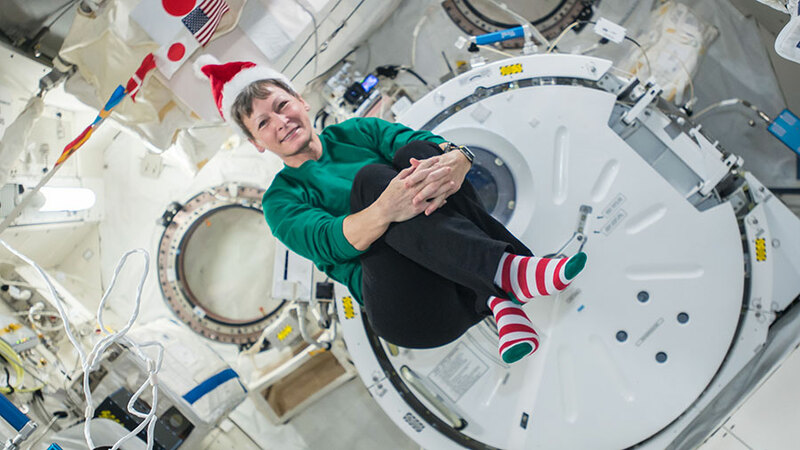 NASA astronaut Peggy Whitson worked on replacing gear inside an integrated rack facility that contains two racks. One rack, the Fluids Integrated Rack, studies how fluids behave in space. The other rack, Combustion Integrated Rack, enables the safe research into how flames behave and materials burn in space. Commander Shane Kimbrough swapped sample cartridges inside the Electrostatic Levitation Furnace which enables the observation of the levitation, melting and solidification materials. At the end of the workday, he joined his Soyuz crewmates Ryzhikov and veteran cosmonaut Andrey Borisenko for an emergency Soyuz descent drill. The trio practiced the escape routes and procedures they would use in the unlikely event they would need to evacuate the station aboard the Soyuz spacecraft. Ground controllers successfully installed the Japan Aerospace Exploration Agency (JAXA) Kounotori 6 H-II Transfer Vehicle (HTV-6) to the International Space Station’s Earth-facing port of the Harmony module at 8:57 a.m. EST. The spacecraft’s arrival supports the crew members’ research off the Earth to benefit the Earth. The cargo spacecraft began its trip on an H-IIB rocket at 8:26 a.m. EST (10:26 p.m. Japan time) on Friday, Dec. 9 from the Tanegashima Space Center in southern Japan. The early Tuesday morning cargo delivery includes more than 4.5 tons of supplies, water, spare parts and experiment hardware. 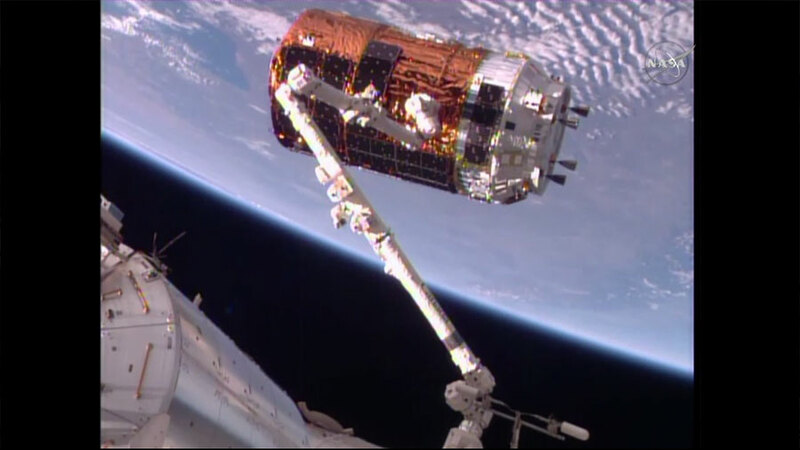 Using the International Space Station’s robotic arm, Canadarm2, Expedition 50 Commander Shane Kimbrough of NASA and Flight Engineer Thomas Pesquet of ESA (European Space Agency) successfully captured the Japan Aerospace Exploration Agency’s Kounotori H-II Transfer Vehicle (HTV-6). 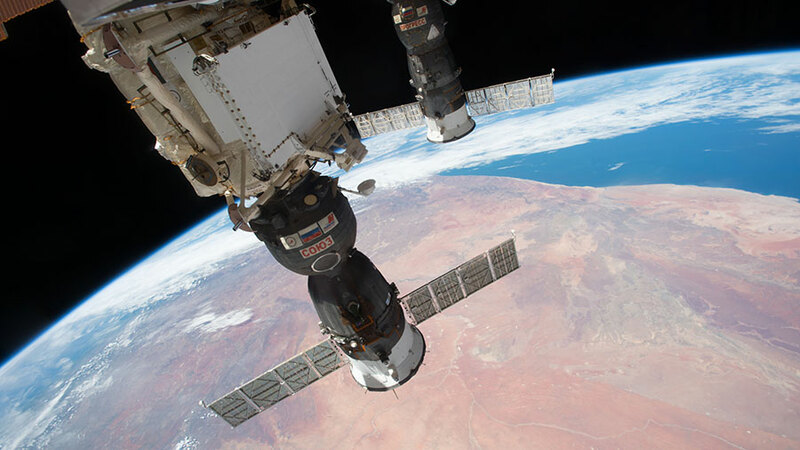 At the time of capture, the space station and cargo spacecraft were flying 250 miles over southern Chile. Robotic ground controllers now will install it on the Earth-facing side of the Harmony module. NASA TV coverage of the berthing currently is scheduled to begin about 7:45 a.m. at https://www.nasa.gov/nasatv. 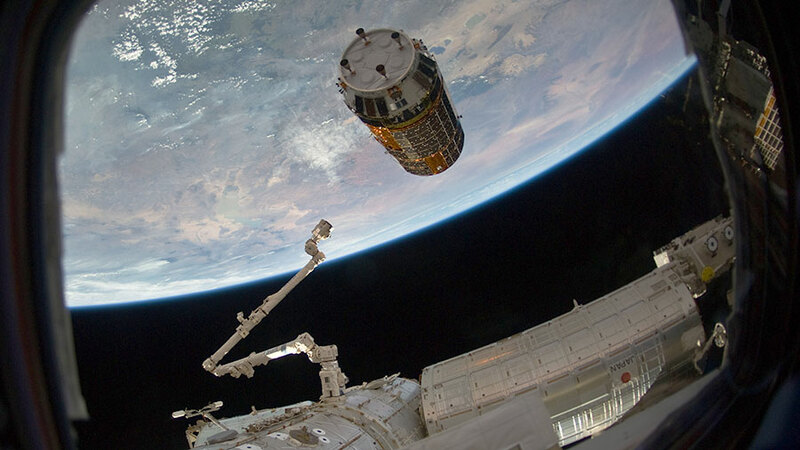 The Japanese cargo ship, whose name means “white stork,” is delivering more than 4.5 tons of supplies, water, spare parts and experiment hardware for the six-person station crew. 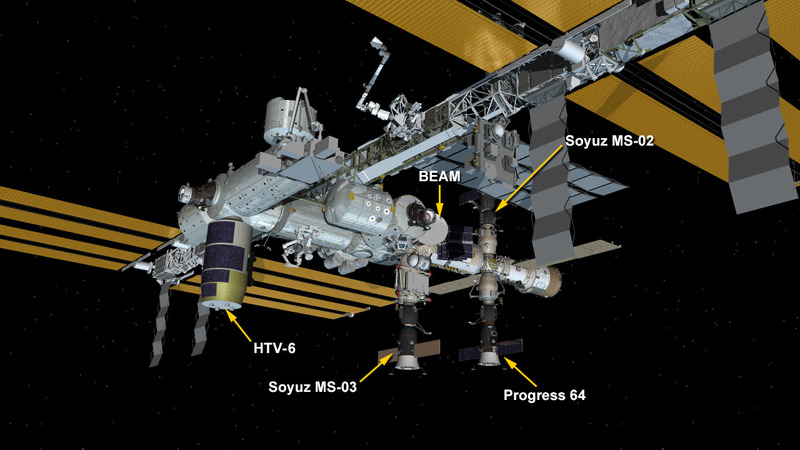 The re-supply vehicle is delivering six new lithium-ion batteries and adapter plates that will replace the nickel-hydrogen batteries currently used on the station to store electrical energy generated by the station’s solar arrays. 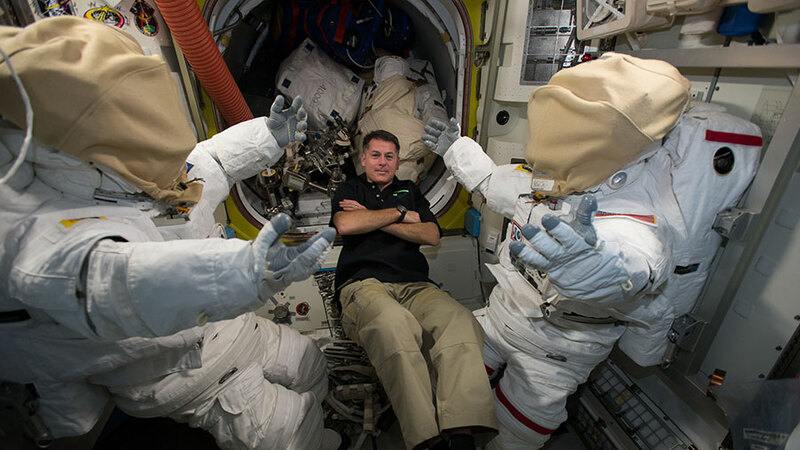 These will be installed during a series of robotic operations and spacewalks between late December and mid-January. 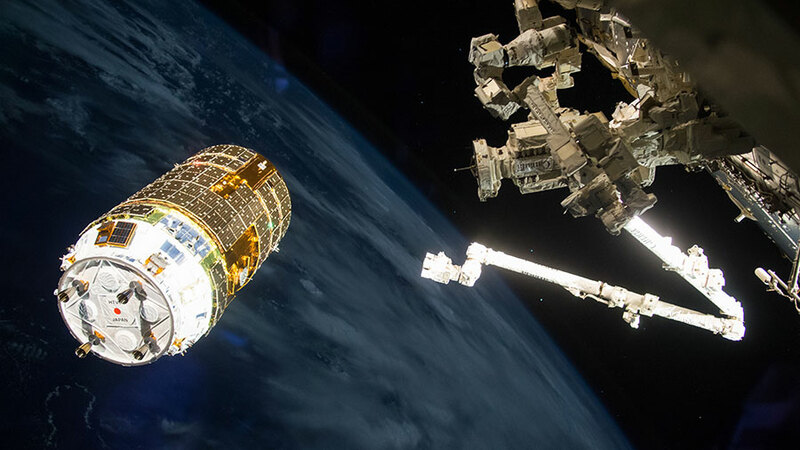 Japan’s HTV-2 cargo craft is seen moments before its capture on Jan. 27, 2011, during Expedition 26 at the International Space Station. 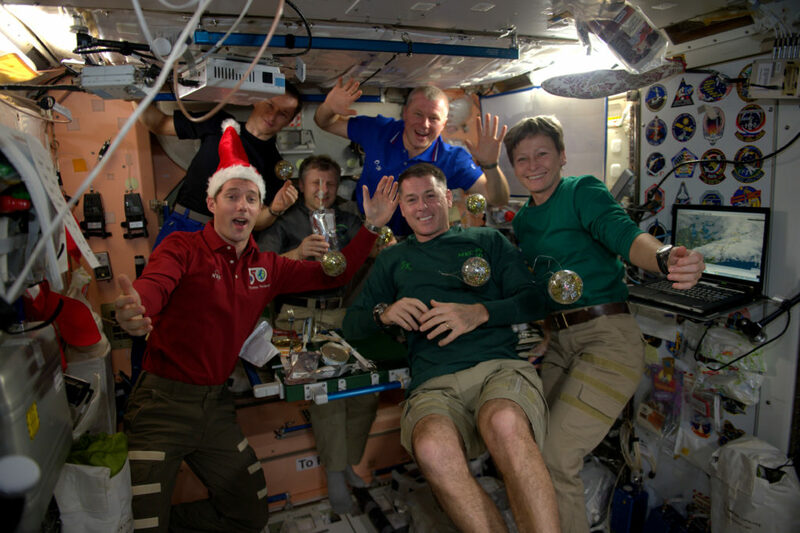 Aboard the International Space Station, crew members are making final preparations for the arrival of the Japan Aerospace Exploration Agency’s HTV-6 cargo spacecraft. NASA Television is providing live coverage, available at https://www.nasa.gov/nasatv. Capture is scheduled around 6 a.m. EST. 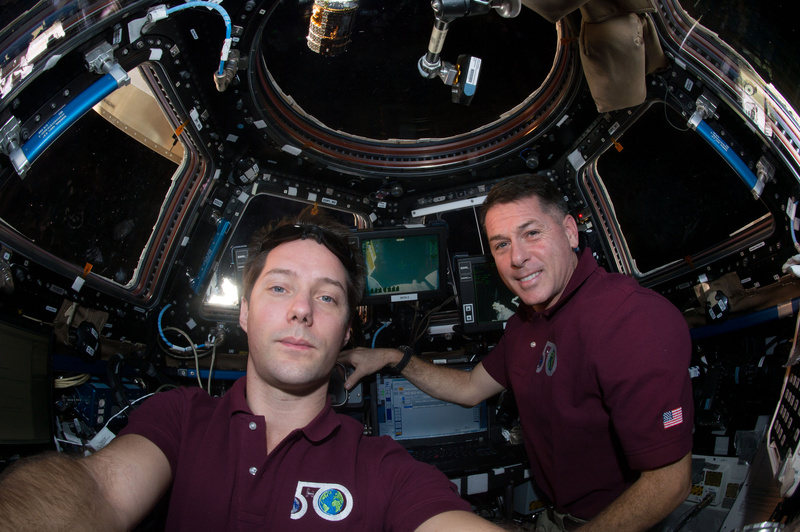 Expedition 50 Commander Shane Kimbrough of NASA and Flight Engineer Thomas Pesquet of ESA (European Space Agency) will operate the station’s Canadarm2 robotic arm from the station’s cupola to reach out and grapple the 12-ton spacecraft. Robotic ground controllers will then install it on the Earth-facing side of the Harmony module. 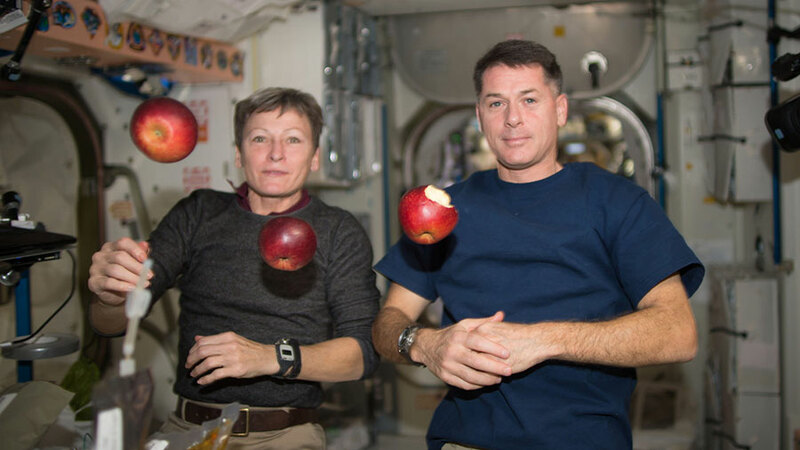 Flight Engineer Peggy Whitson of NASA will monitor HTV-6 systems during the rendezvous and grapple. The spacecraft is loaded with more than 4.5 tons of supplies, water, spare parts and experiment hardware for the six-person station crew. The unpiloted cargo spacecraft, named “Kounotori” – the Japanese word for white stork – launched Friday, Dec. 9 from the Tanegashima Space Center in southern Japan.